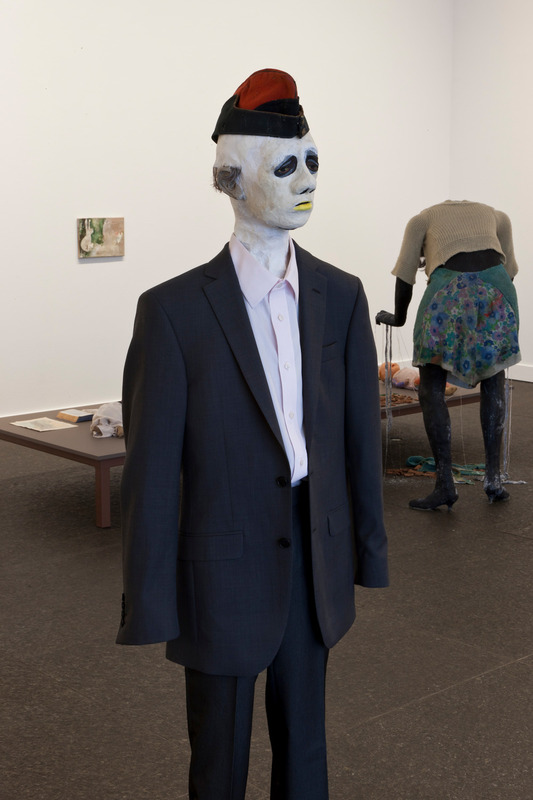 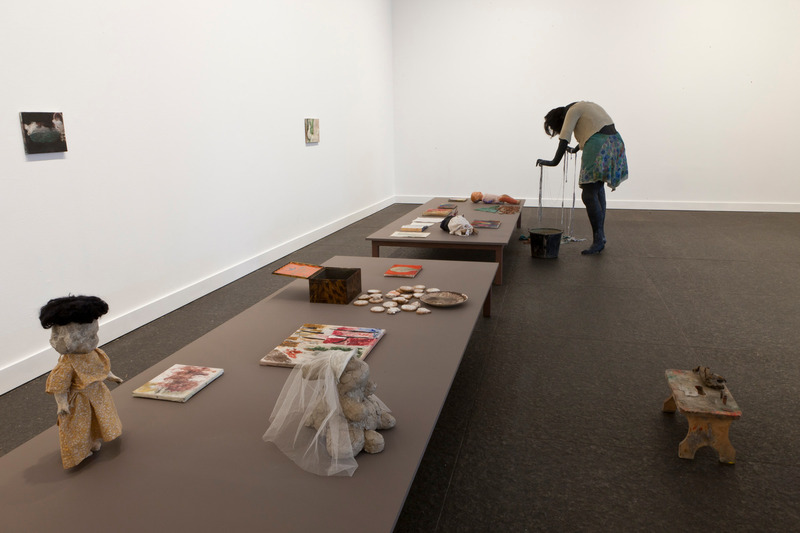 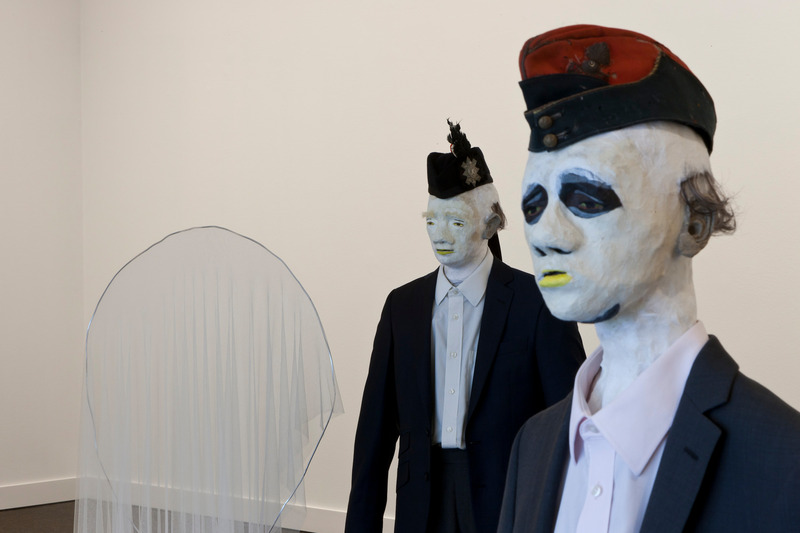 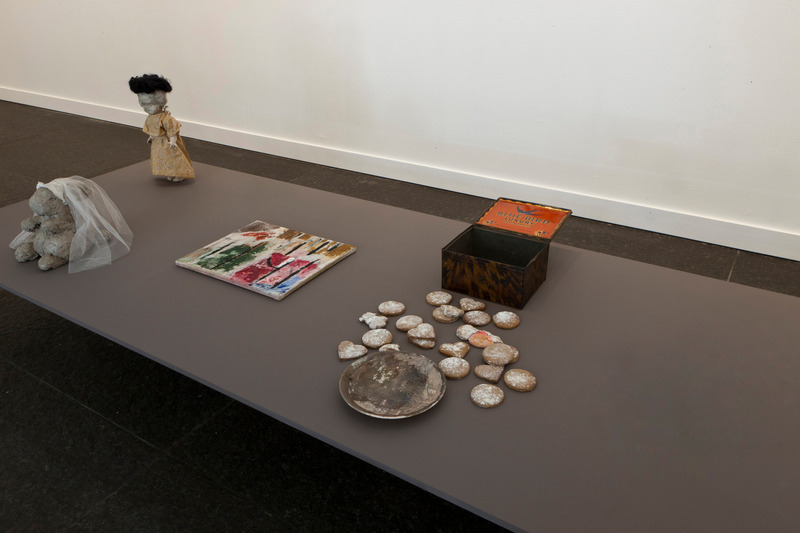 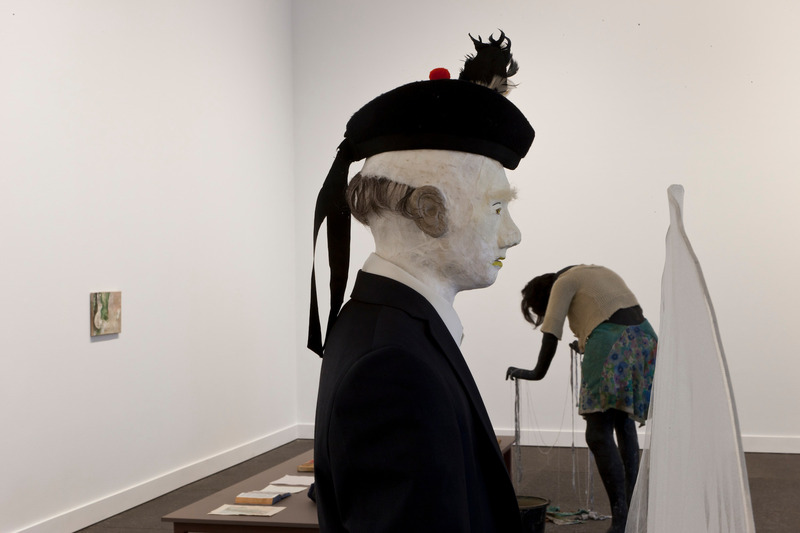 Carnegie Museum of Art presents the first solo American museum exhibition to combine the painting and sculptural installations of Irish artist Cathy Wilkes (b. 1966). 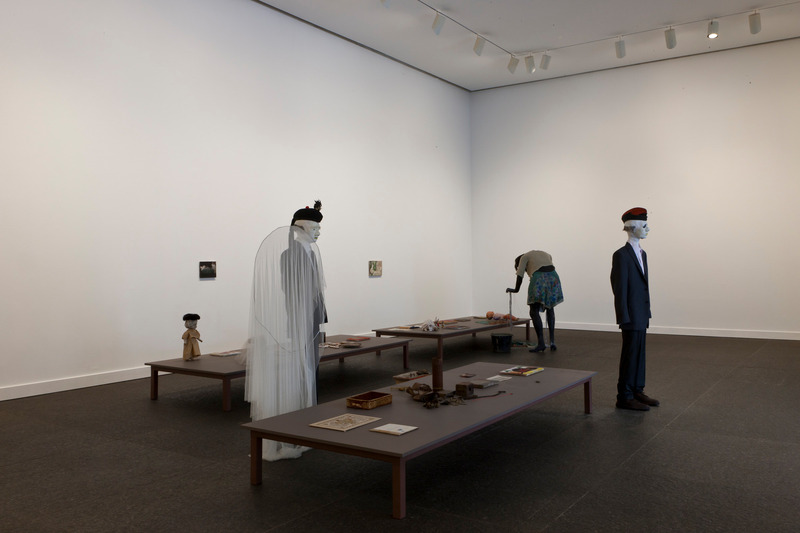 Often examining personal experiences, including motherhood, Wilkes is best known for vulnerable, haunting sculptures and installations in which sculpted and found objects are altered and arranged into humanistic—if sometimes disturbing—domestic scenes. 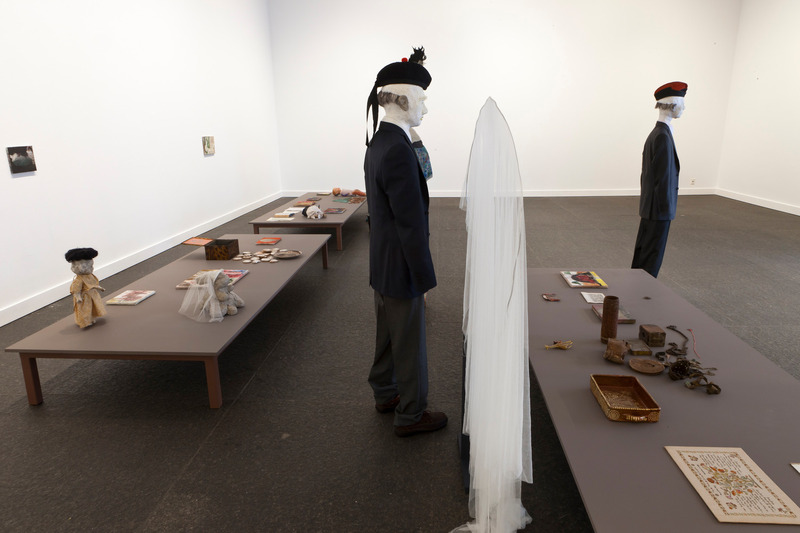 This work earned her a nomination for the 2008 Turner Prize, Britain’s most prestigious award for contemporary art. 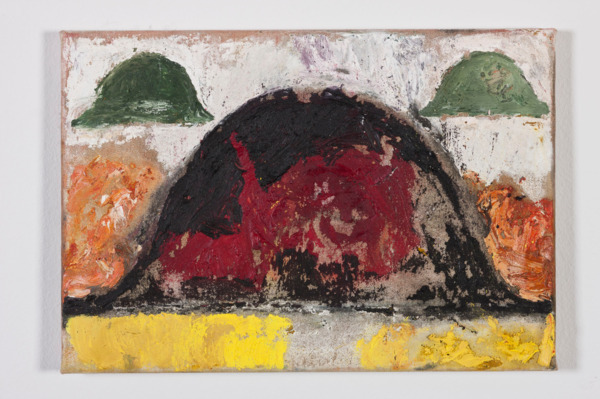 Her more recent paintings explore similar themes through roughly hewn, colorful abstraction. The canvases live long lives in the studio as they are worked on, set aside, often scrubbed and worked on again—part of the same ongoing labor that goes into her sculptures, a constant arrangement and accumulation of material. Including nine paintings, a recent sculpture, and a newly commissioned installation, this exhibition promises a comprehensive view of Wilkes’s practice and a vibrant and deeply humanistic body of work. 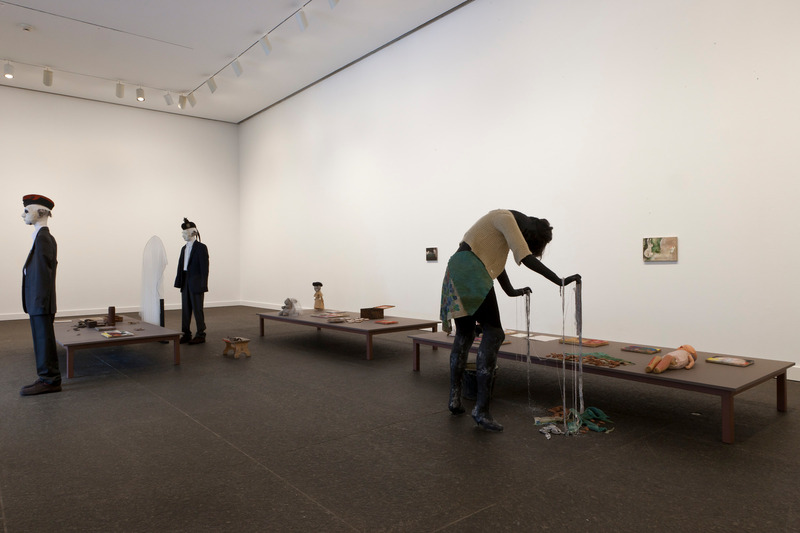 Wilkes’s installation pieces, for which she became well known in the last two decades, often suggest strangely altered domestic scenes, or moments of intense emotion. 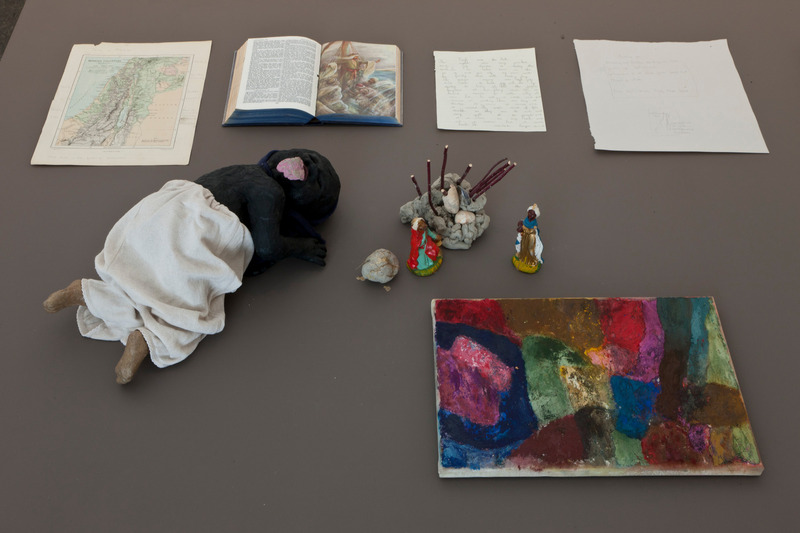 Sculpted and found objects are often massed in clumped arrangements, or dispersed against walls or on the floor. 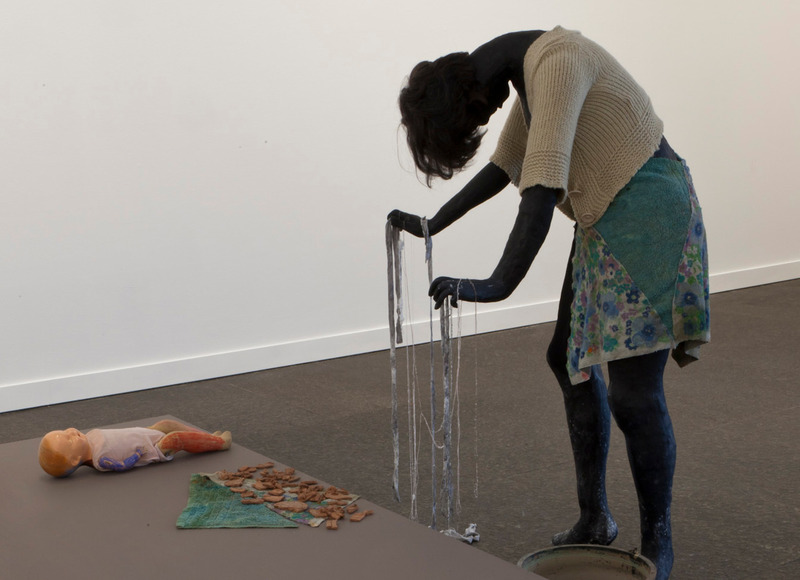 Highly crafted figurative elements made from clay or plaster combine with vitrine-like structures, mass-produced objects such as cell phones, and domestic items like jam jars, mixing bowls, vegetable peelers, or her children’s clothing. 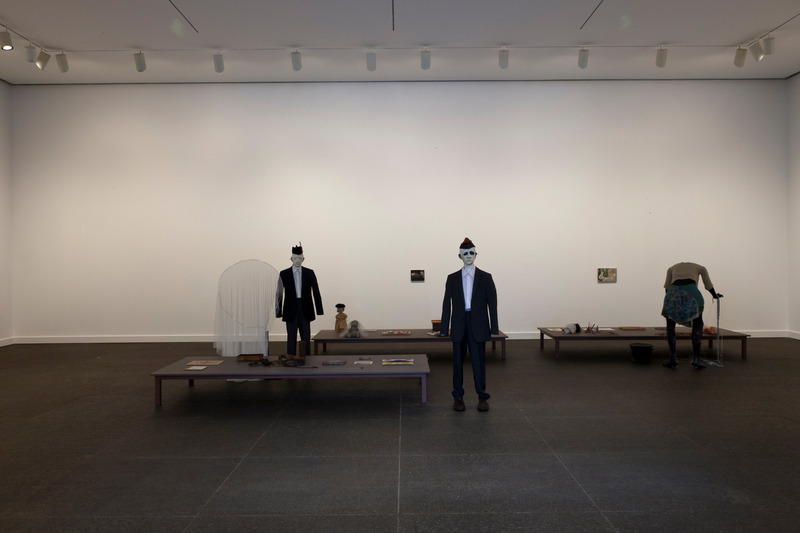 In later installations, Wilkes began incorporating paintings—affixed to structures and figures within the sculptures, and as elements hung on walls. 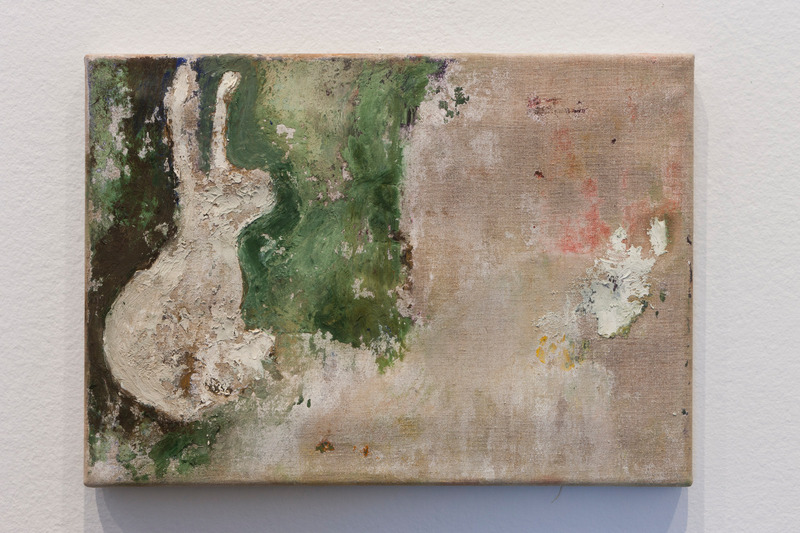 Recently, the canvases have gained new levels of independence. 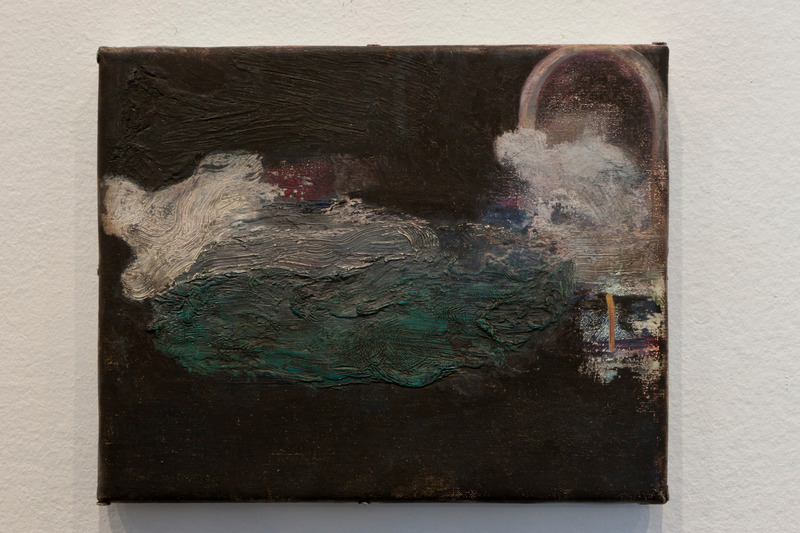 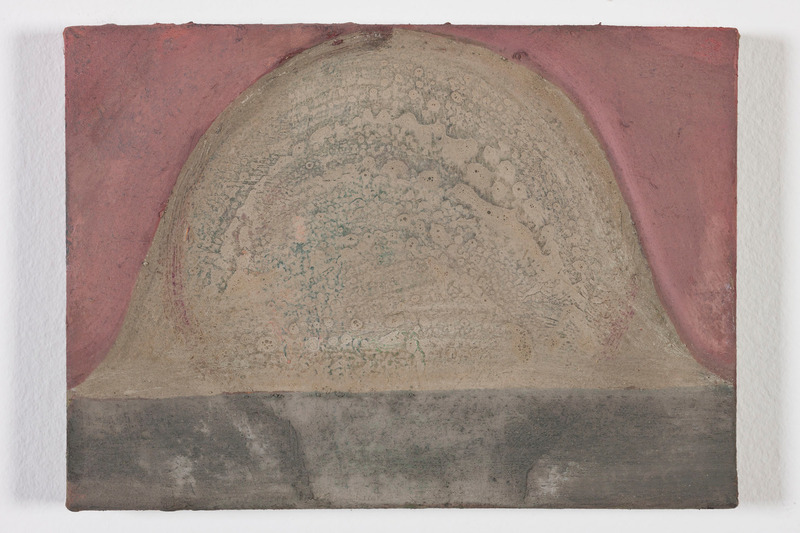 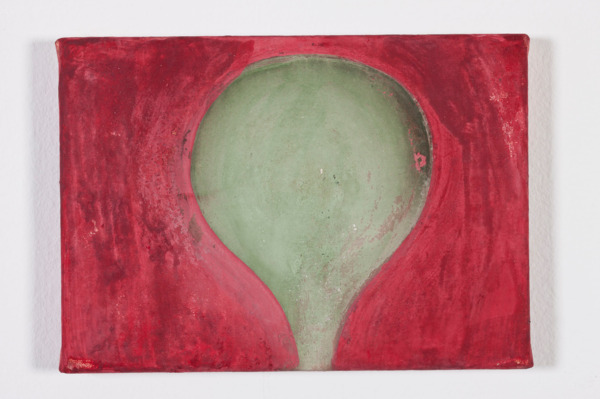 Wilkes’s small paintings use complex color combinations, abstraction, and an intuitive geometry that evoke both the corporeality of her sculptures and the highly varied textures of her sculpture. Her paintings have also incorporated word fragments and phrases, as well as inexpensive pieces of china, dried flowers, and other objects. The exhibition is the 67th edition of the museum’s Forum series, which extends the mission of the Carnegie International in connecting local audiences to a global network of important international contemporary artists.